This book is apart of the The Blackthorn Key Series. 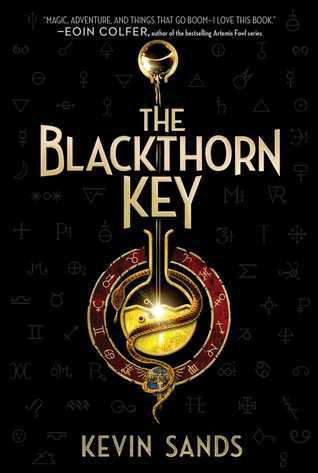 In 1665 London, fourteen-year-old Christopher Rowe and his best friend, Tom, solve complex codes and puzzles, creating powerful medicines, potions, and weapons for master apothecary Benedict Blackthorn—with maybe an explosion or two along the way! But when a mysterious cult begins to prey on London’s apothecaries, the trail of murders grows closer and closer to Blackthorn’s shop. With time running out, Christopher and Tom must use every skill they’ve learned to discover the key to a terrible secret with the power to tear the world apart. This book is apart of the Dactyl Hill Squad Series. This is North American history with a magical twist of dinosaur-sized proportions! It is the summer of 1863 and as the American Civil War rages between dinosaur-mounted armies, a tense New York City seems on the brink of exploding into riots. Magdalys Roca and the other children at the Colored Orphan Asylum in Manhattan are trying to survive, but when she receives a letter telling her that her brother Montez is wounded in the war, Magdalys knows that somehow she must reach him--and her ability to communicate telepathically with dinosaurs may just come in handy. The year is 1242. On a dark night, travelers from across France cross paths at an inn and begin to tell stories of three magical children--and their holy dog. There is William, a young monk with superhuman strength; Jacob, a Jewish boy who has fled his burning village; Jeanne, a peasant girl who hides her prophetic visions; and, of course, Gwenforte, their loyal greyhound. . . recently brought back from the dead. Together, these unlikely allies travel across France to save holy texts from being burned while a mysterious narrator tries to track down the truth of their tale.